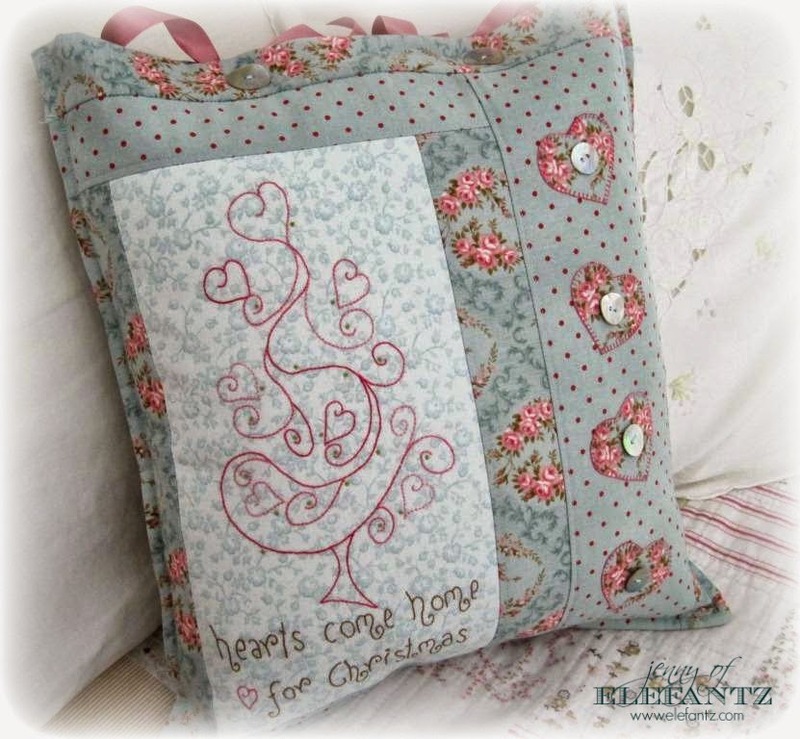 Back in 2009 I designed quite a few Christmas tree stitcheries, and all had a touch of whimsy about them! ...and three rather classy prairie points to add some sensibility to the whimsy! 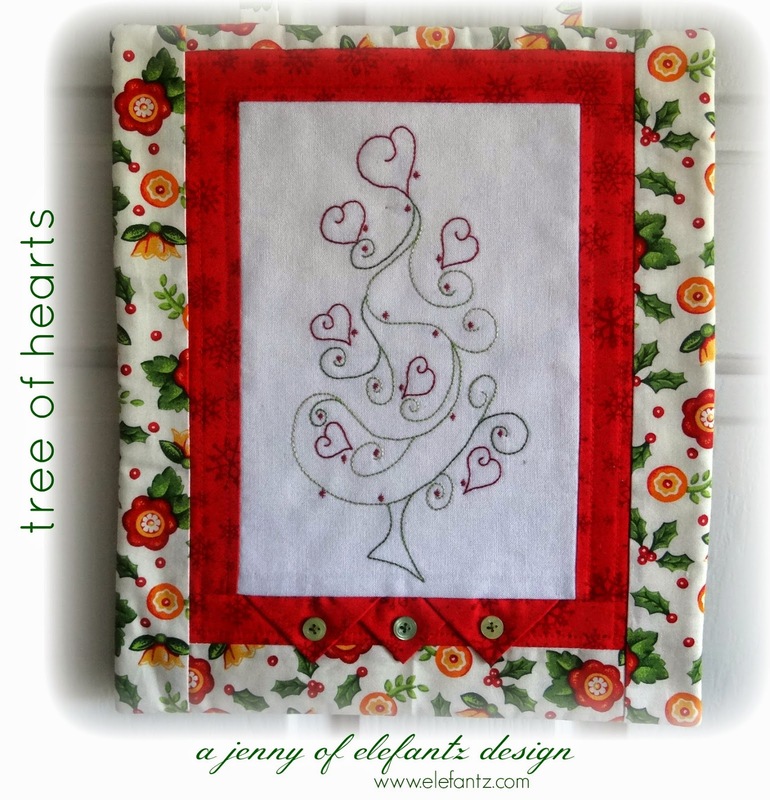 Download your free 'Tree of Hearts' min-quilt pattern HERE until December 10th. I've stitched this design a few times since 2009. 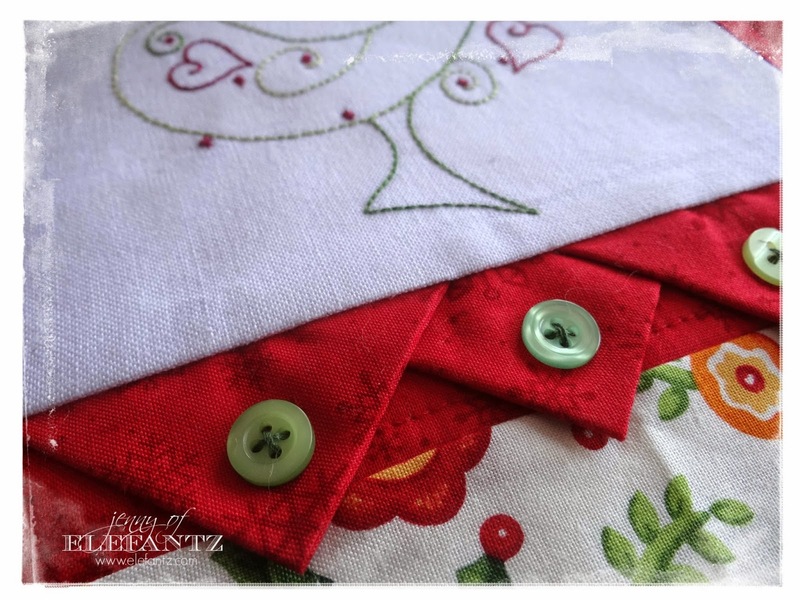 In your free pattern I've also included the 'hearts come home for Christmas' block, in case you'd like to incorporate it in your own 'Tree of Hearts' project. 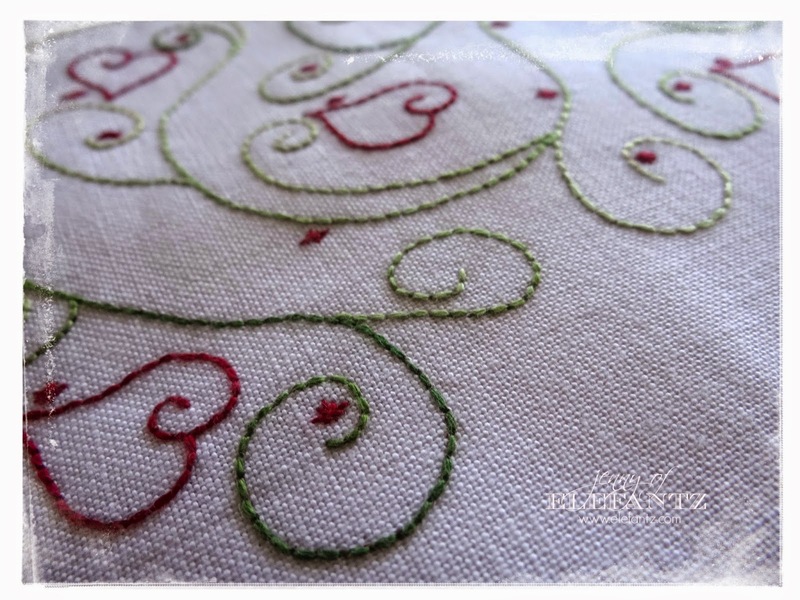 So tell me, what will you make from this stitchery? The mini quilt or something else? 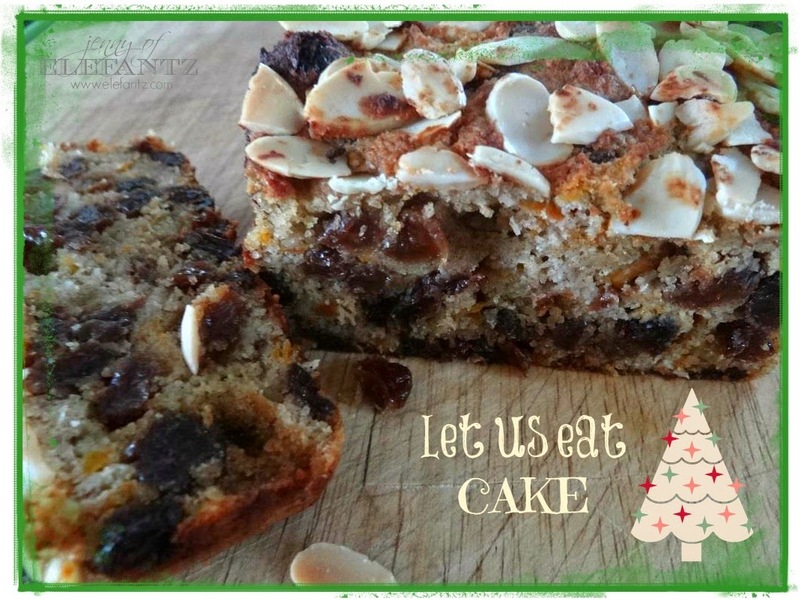 Mr E has christened this one the "Not-Christmas-Cake" because it still hasn't got enough fruit in it for his liking, so back to the kitchen I go! I'll see you tomorrow with your 7th Christmas gift! Thanks for these. Love the prairie points and the bag too! Lovely - and super nice as a cushion. Adorable tree! Love the bag - so sweet! Love your Tree of Hearts and the "Not-Christmas" Cake looks amazing. Can you please share your recipe? Love the swirls and hearts and everything about this tree. Wonderful design to add to anything at all. Can you believe the week is almost over? Thankyou so much for sharing such a beautiful design with us. Angel Hugs. Thank you, Jenny, for another lovely design! I love your mini quilt with those prairie points - it's calling to me. Your cake looks delicious. Thank you for the adorable tree. Another sweet stitchery, Jenny :) Thank you! This is so cute and can even be used for Valentine's day too! Thank you once again for sharing your talents.